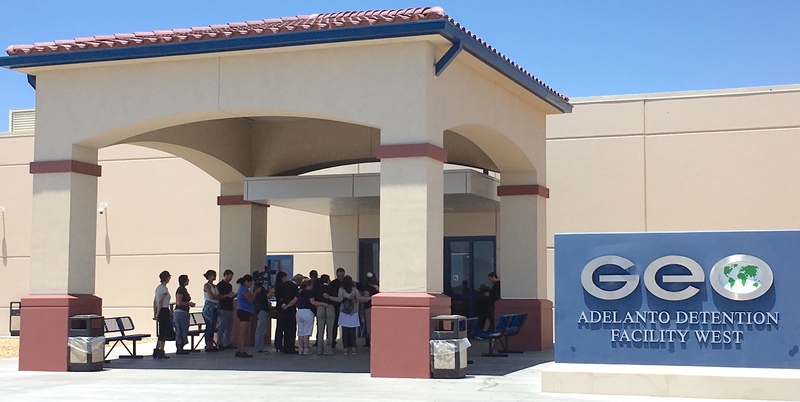 To commemorate World Refugee Day (Tuesday, June 20th), over 60 faith leaders and attorneys made a pilgrimage to the Adelanto Detention Facility from Los Angeles to visit with our friends and clients, many of whom had been on a hunger strike the week prior. ICE and GEO Group denied all our visits. In response to a peaceful 5-minute interfaith prayer outside the facility, ICE and GEO Group then put the entire facility on lockdown. Attorneys and family members who were not part of the pilgrimage and who had already been granted entrance to the facility were expelled from the facility by ICE and GEO Group in response to our prayer. This included young children clinging to their toys who had driven for hours to visits their parents. “The denial of access represents an ongoing and troubling pattern of retaliation, and raises real concerns about mistreatment of people in immigration detention at this infamously abusive for-profit facility,” said Christina Mansfield, co-founder/executive director of Community Initiatives for Visiting Immigrants in Confinement (CIVIC). This comes just days after 9 men and over 33 women went on hunger strike at the Adelanto Detention Facility to protest substandard medical care, unjustly high immigration bonds, lack of basic respect, and lack of opportunities to connect with family. Christina Fialho, who also is a California attorney, was denied visits with 14 of her clients on Tuesday who were detained at the Adelanto Detention Facility. Fialho had received email approval from ICE in advance of Tuesday for her and 4 of her legal assistants to conduct legal visits at Adelanto. According to the Adelanto Detention Facility rules, attorneys are allowed 24 hour access to their clients in immigration detention. And federal standards require attorneys to have access to their clients 7 days a week without pre-approval; only legal assistants require pre-approval by ICE. To visit at Adelanto through regular visitation hours as a family member, friend, or community member does not require pre-approval from ICE or GEO Group. As a courtesy, our group did provide notice to ICE by email. In May 2015, GEO Group and ICE prevented Christina Fialho, a California attorney and co-founder/executive director of CIVIC, from visiting her clients after she lawfully exercised her First Amendment rights. 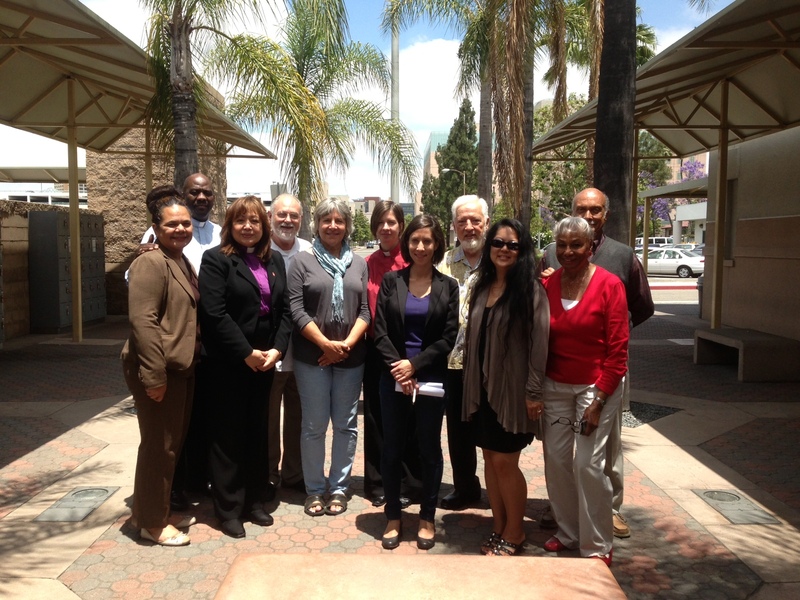 In August 2013, CIVIC’s Christina Fialho and CIVIC visitor volunteers were barred from visiting for over a month at the Adelanto Detention Facility in retaliation again for exercising their First Amendment rights. The ACLU of SoCal and Sidley Austin LLP, pro bono attorney for Christina Fialho and CIVIC, raised concerns about the 2013 and 2015 denials in a letter dated August 24, 2015, which to this day neither GEO nor ICE has responded to or in any way denied. In January 2017, CIVIC filed a federal civil rights complaint about a general increase in family and community visitation denials at Adelanto. “We were gathered at Adelanto Detention Facility to offer our pastoral support, through visitation and prayer, for members of the community in detention. It is unconscionable that the GEO Group and ICE would respond to this intention, of which we had given them notice, with a seemingly retaliatory action by closing all access to the facility. We will remain prayerfully vigilant to ensure that our friends in detention have the right to visitations, and that their spiritual and material care is being taken seriously,” said Rev. Francisco Garcia, who is the Co-Chair of the Sanctuary Task Force of the Episcopal Diocese of Los Angeles and also the rector of Holy Faith Church in Inglewood. “I find it difficult to comprehend the actions that GEO Group and ICE took in response to our peaceful and prayerful pilgrimage to the Adelanto Detention Facility. Our aim of bringing a bit of healing and hope to those detained quickly became an outrageous display of meanness and injustice. Not only were we prevented from visiting and providing pastoral presence to our brothers and sisters inside the facility, the many families and children who were there visiting were also forced to re-experience the pain of being separated from their loved ones as they were ejected from the building into the 110 degree heat. My hope is that somehow our loving intentions made it past those locked doors at Adelanto into the hearts of those suffering inside. They will not be forgotten and we will be back,” said Rev. Canon Jaime Edwards-Acton, who is the Co-Chair of the Sanctuary Task Force of the Episcopal Diocese of Los Angeles and also rector of St. Stephen’s Church in Hollywood. “On World Refugee Day, I attempted to visit people in detention at Adelanto Detention Facility so they would know they are not forgotten. As a Unitarian Universalist minister and a person of conscience, I believe all people have dignity and worth. I believe the lives of people in detention are worth fighting for. I ask that Geo Corp, ICE, and the State of California open the doors of this detention center and join us in working for the day when no human being is illegal,” said Rev. Rebecca Benefiel Bijur, a Unitarian Universalist minister in Santa Monica. “All religions celebrate our common humanity and the sacredness of human life. Inflicting pain or suffering at the instigation of or with the consent or acquiescence of a public official or other person acting in an official capacity violates this very sacredness. Our religious traditions demand that we welcome the stranger. Detaining people who are fleeing violence in their own countries to seek refuge in ours is going against all we believe. We denounce the ill treatment of people in ICE detention and seek immediate changes to policies that are abusive and inhumane,” said Grace Dyrness with Interfaith Communities United for Justice and Peace. 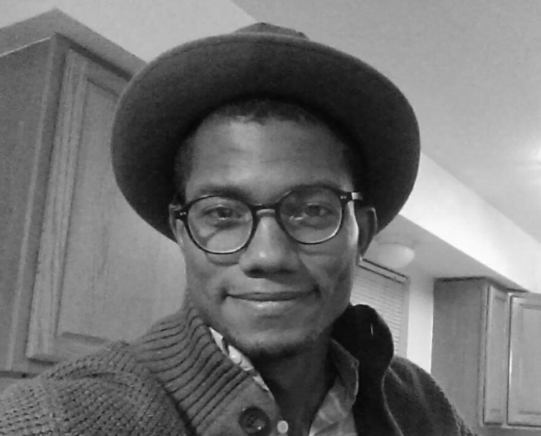 “Tuesday’s experience of learning more about the suffering of people in detention at Adelanto, being given the name of a hunger striker to visit, and then having the door locked in our faces as we were praying has only increased my determination to work for the release of all those imprisoned in Adelanto. I hope my sisters and brothers inside heard about our big red bus and know the world cares what happens to them,” said Archdeacon Joanne Leslie of the Episcopal Diocese of Los Angeles. The pilgrimage to the Adelanto Detention Facility was organized and supported by Interfaith Communities United for Justice and Peace (ICUJP), Sanctuary Task Force of the Episcopal Diocese of Los Angeles, Community Initiatives for Visiting Immigrants in Confinement (CIVIC), Immaculate Heart Community, Inland Coalition for Immigrant Justice, Black Alliance for Just Immigration (BAJI), Clergy and Laity United for Economic Justice (CLUE), All Saints Church Pasadena. Riverside Sheriffs’ Association Supports Dignity Not Detention! Yesterday, the Riverside Sheriffs’ Association sent a letter to the California Assembly in strong support of SB 29, the Dignity Not Detention Act, which eliminates the utilization by local governments of for-profit, private prison corporations for the detention of immigrants in California. 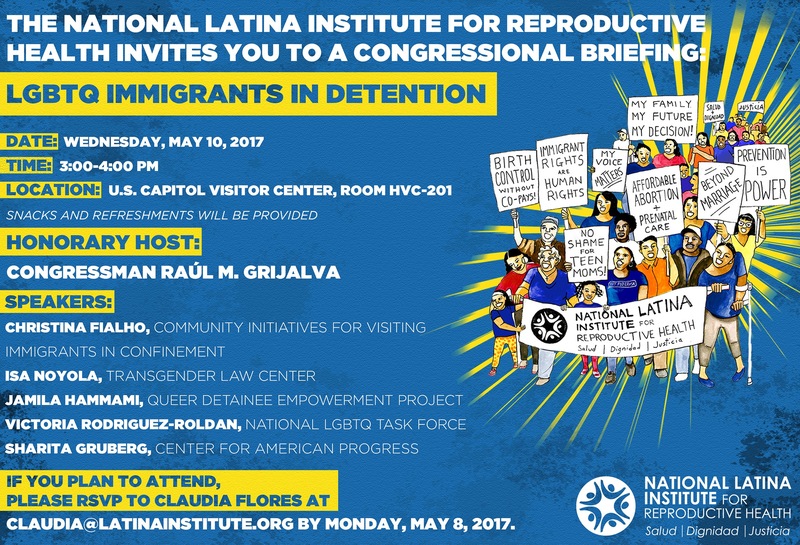 This bill is authored by Senator Ricardo Lara and co-sponsored by CIVIC and the Immigrant Legal Resource Center. CIVIC wants to thank the Riverside Sheriffs’ Association for their support for this bill! Christina Mansfield of CIVIC speaks at press conference with CA Senator Ricardo Lara and CA Attorney General Xavier Becerra. June 2017. SAN FRANCISCO, CA. – Today, the California Legislature approved the SB 87/AB 103 budget action, which includes two key provisions that will curtail the growth of immigration detention in California and give the state Attorney General $1 million to monitor all immigration detention facilities in California. 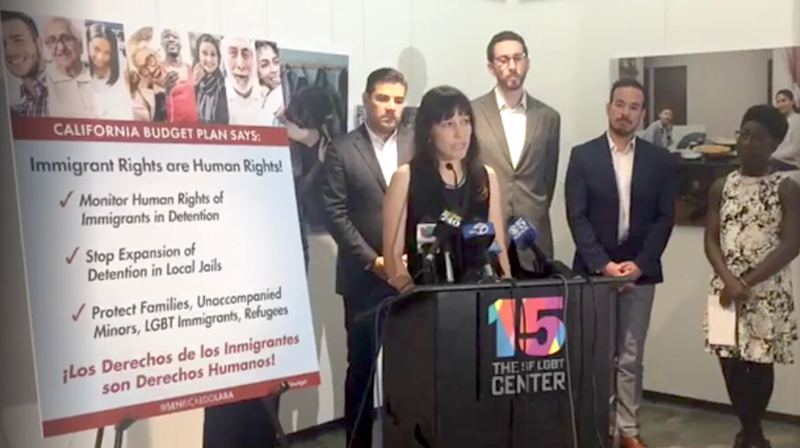 This law will be the first in the United States to give a state agency the power to monitor immigration detention facilities and the only in the country to put a moratorium on the expansion of immigration detention in public jails across a state. The budget action comes as 42 women and men ended their hunger strike today at Adelanto, California’s largest private immigration detention facility. These women and men were protesting inhumane detention conditions, including medical neglect and sexual assault. Just this week, the men were drenched with pepper spray, beaten and transferred into a high security area by private prison guards. The women were threatened with the same treatment. 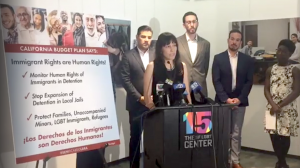 The budget action prevents California’s municipalities from entering into new contracts with Immigration and Customs Enforcement (ICE) or any federal agency for the purpose of detaining immigrants in city or county jails. It also prevents the expansion of detention beds in publicly run facilities under existing contracts with ICE, including any facilities housing immigrant children. The budget action also sends a strong message to detention facility operators that California will be watching to ensure that they are treating every single person in their custody with the humanity they deserve. The budget action tasks the state Attorney General with monitoring all detention facilities in California, including conditions of confinement, standards of care and circumstances around apprehension and transfer. These reviews will occur over the next 10 years, with findings made available to the public. The first report is due by March 1, 2019. AB 103 perfectly complements SB 29, the Dignity Not Detention Act, which seeks to remove California’s municipalities from the business of private immigration detention altogether. With support from a statewide coalition of groups, including the California Immigrant Youth Justice Alliance (CIYJA), the Immigrant Youth Coalition (IYC), and Human Rights Watch (HRW), SB 29 is currently in the Assembly and will be heard in the Assembly Judiciary Committee. SB 29 is authored by California State Senator Ricardo Lara (D – Bell Gardens) and co-sponsored by the Immigrant Legal Resource Center (ILRC) and Community Initiatives for Visiting Immigrants in Confinement (CIVIC). The ILRC and CIVIC advocated for and consulted on the immigration detention provisions in today’s state budget action. To request an interview with any of the individuals above, please contact Kemi Bello at kbello@ilrc.org. The extreme force that the #Adelanto9 faced yesterday tragically affirm longstanding concerns of physical abuse by GEO staff and inadequate medical treatment raised by immigrant rights groups, including Community Initiatives for Visiting Immigrants in Confinement (CIVIC), Detention Watch Network and Inland Empire-Immigrant Youth Collective, which have continually called for the facility’s closure. Most alarmingly, Adelanto became the deadliest detention center in 2017, with three deaths in three months. To date, ICE has failed to respond to demands that the findings of the investigations into these deaths be made public. “ICE and its contractors like GEO Group operate with impunity in California. Hunger strikers and other immigrants in detention face physical assault on almost a daily basis in California. CIVIC’s investigation into sexual and physical assault found that out of the 4,500 complaints lodged with Homeland Security’s Office of the Inspector General (OIG) in California, OIG investigated less than 1 percent. If the federal government won’t regulate its detention facilities, it is time for the state of California to provide its own oversight over immigration detention facilities,” said Christina Fialho, a California-based attorney and co-executive director of Community Initiatives for Visiting Immigrants in Confinement (CIVIC). The #Adelanto9 follow a 2015 hunger strike at Adelanto and a massive hunger strike at the Northwest Detention Center in Tacoma, Washington earlier this year, a facility that is also run by GEO. The growing pattern of hunger strikes within immigration detention centers paints a grim picture of life inside detention as people detained risk their health and retaliation to expose egregious conditions and system-wide abuses. Inland Empire-Immigrant Youth Collective (IE-IYC) is a grassroots undocumented youth-led organization. We are committed to creating a safe space for immigrant youth regardless of legal status, race, gender, sexuality, educational background and other intersections that are crucial to the undocumented identity. We have been supporting regional efforts against the Adelanto Detention Facility since 2013. For more information, visit www.ieiyc.org. Sureñxs En Acción is a Nashville-based migrant liberation collective organizing against immigrant detention, state violence, and for-profit prisons in the US South and the Global South. This week, CIVIC is mourning the loss of two more people who died in immigration detention, Jean Carlos Jiménez-Joseph and Atulkumar Babubhai Patel. Both of these individuals died within 2 days of each other in Georgia. El Refugio, which is the CIVIC-affiliated visitation program at the Stewart Detention Center, was in contact with one of these men, Jean Carlos Jiménez-Joseph. Jean died at the age of 27 at the Stewart Detention Center, after 19 days in a form of solitary confinement. 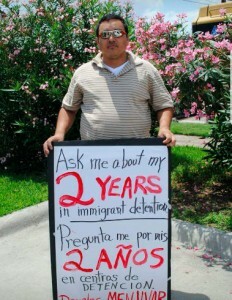 According to ICE’s Segregation Directive, immigrants should not be held in solitary confinement for more than 14 days. But as the Trump administration curtails the enforcement of ICE’s National Standards, we are bound to see more people fall victim to inhumane detention conditions. On the morning of Jean’s final day on this earth, a volunteer with El Refugio tried to visit him. The volunteer was denied the ability to visit him. That evening, Jean was found unconscious in his cell, and ICE reported the death to be self-inflicted. “We are gravely concerned that Jean Carlos may not have received the mental health services he required while detained,” said Marie Marquart, Chair of El Refugio’s Board of Directors. “His solitary confinement may have exacerbated his isolation and further impacted any mental health issues.” This is especially concerning as the effects of solitary have been repeatedly studied and linked to deterioration of mental health. CIVIC Volunteers Who Monitor Detention Stand Outside Theo Lacy Facility. The Office of the Inspector General seems to have removed the report, entitled Management Alert on Issues Requiring Immediate Action at Theo Lacy Facility in Orange, California, from its website. CIVIC is republishing it here because the issues raised in this report remain ongoing concerns for us at Theo Lacy Facility. Washington, DC — Immigrant rights organizations, Community Initiatives for Visiting Immigrants in Confinement (CIVIC), Detention Watch Network (DWN), Immigrant Youth Coalition, and the Inland Coalition for Immigrant Justice demand an immediate investigation into the death of Sergio Alonso Lopez. Lopez, 55, died last Thursday while in the custody of Immigrations and Customs Enforcement (ICE) after being detained at Adelanto Detention Center in California. This tragedy marks the second death to occur at Adelanto this year, after Osmar Epifanio Gonzalez-Gadba died less than three weeks prior. 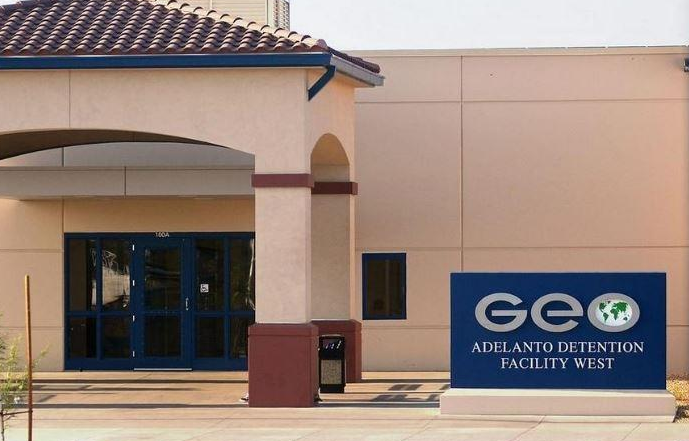 The Adelanto detention center where Lopez died is operated by The GEO Group Inc., a notorious private prison company that has a well-documented track record of abuse, mismanagement and neglect. A total of five people have died there in the five years since it opened. The passing of Lopez brings ICE’s total death count to 170 since 2003 — a shameful record further exposing ICE’s inability to guarantee the safety and health of people in their custody. Recent investigations into deaths in immigration detention have found that inadequate medical care at detention centers has contributed to numerous deaths. This death comes the same month that Congress is considering Trump’s request for $3 billion in extra funding to significantly increase the number of people locked up in detention centers and dramatically expand the deportation force. With detention already at a historic high, Trump’s anti-immigrant agenda will come at the expense of immigrant lives and taxpayer’s wallets if approved by Congress. “We are outraged by the disregard for human life and ICE’s ongoing refusal to meet demands for transparency. Trump’s plan to expand an already deadly detention system will only further exacerbate the abuse and inhumane conditions that have proven to have fatal consequences,” said Gabriela Benitez, organizer at Detention Watch Network.